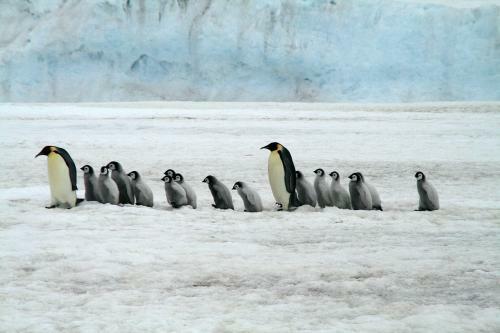 Antarctica is the continent on the South Pole. It the coldest place with biggest desert on Earth. Severity of its climate is caused by number of factors. First of them is altitude. Relief of the continent is amended with enormous layer of ice thus average altitude is higher than in other continents. However main reason of Antarctic cold is ice cover. Surface of the continent reflects 80 to 82% of sunlight sending it in space. Than half of received energy radiates back into atmosphere according to thermodynamics. And those bits of warmth (10 to 12% of solar energy) are absorbed only at summer. At winter surface of the continent radiates warmth constantly without receiving any of it. 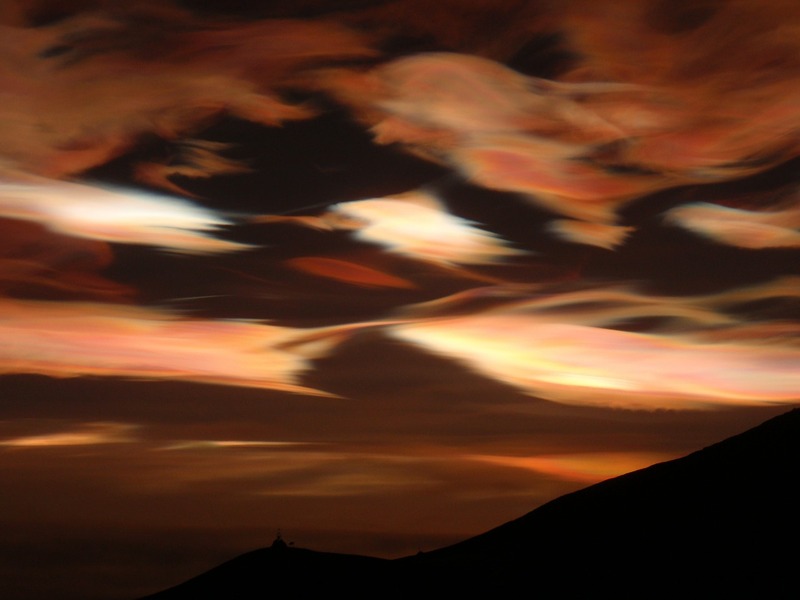 Air circulation and oceans are influencing seasonal shifts of weather. Warm air from above oceans travels inland and cold inland air flows from peaks of mountains causing respective changes of weather conditions. Change of prevailing winds defines the season. 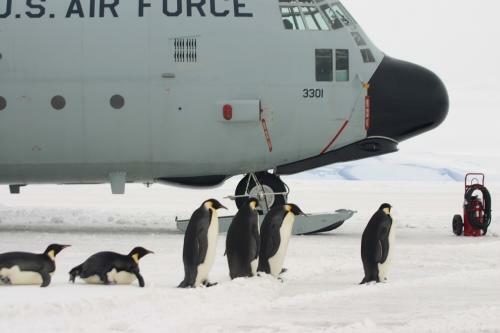 There are only two of them in Antarctica. And only in some coastal areas temperature comes rises to 10 °C (50 °F). Temperature on most of the territory is in negative range (below 32 °F). Weather conditions of the continent vary between inland regions, slopes of Antarctic plateau and coasts. Inland summer (November-February) averages are between -25 and -45 °C (-13…-49 °F). Averages in slopes of the plateau may reach 10 °C (50 °F). Coastal areas are warmer due heat exchange between air and oceanic water. In addition adiabatic processes of inland winds make weather warmer. Summer averages in most of coasts at January, the warmest month, are about -4 °C (25 °F). Antarctica is considered as biggest desert on the globe mostly due to extremely low amount of precipitation in central regions. It is evenly distributed through year and falls as snow. Annual amount of precipitation gradually rises from 30-50 mm (1.1-1.9”) in central region to 600-700 (23.6-27.5”) in foothills of continental slope. 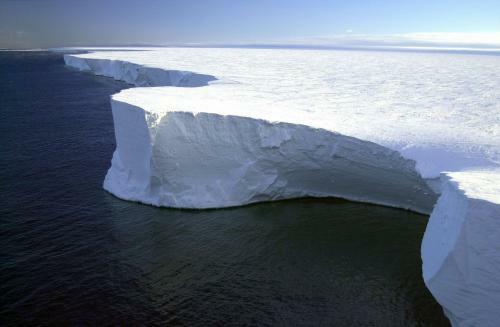 In north-western coasts of Antarctic Peninsula it even reaches 1000 mm (39.3”). Desert above largest holding of fresh water is one of paradoxes of Antarctica. Summer in Antarctica is dangerously sunny. There are almost no clouds and it is time of polar day and sun never sits down through half of a year. Sun warms up lower layers of the atmosphere and katabatic winds are calming down allowing warmer air from above the ocean to travel inland. 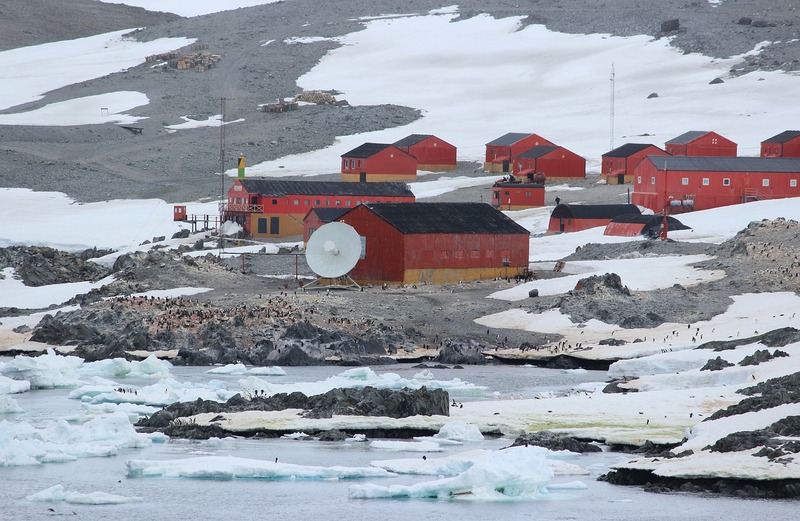 Winter comes to Antarctica at Match and lasts to October. 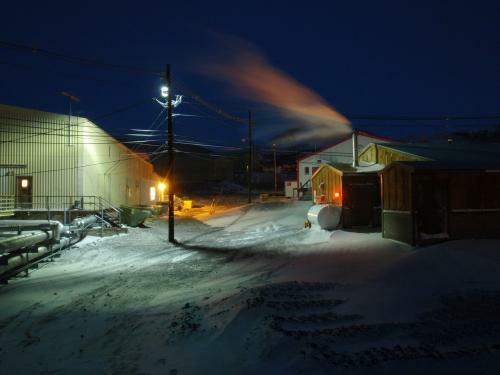 This is the time of strong katabatic winds and polar night. Averages in central regions are between -57 and -66 °C (-71…-81 °F). Coastal areas are much warmer with -8 °C (18 °F) and -35 °C (-31 °F) in the borders of plateau. Yet main weather forming feature is wind. Cold air from massive ice cover flows down to coasts forming constant winds, so called katabatic winds, with average speed of 15 m/s (33.5 mph). Reaching coastal areas those winds are colliding with cyclonic air masses causing storms with up to 90 m/s (201.3 mph). 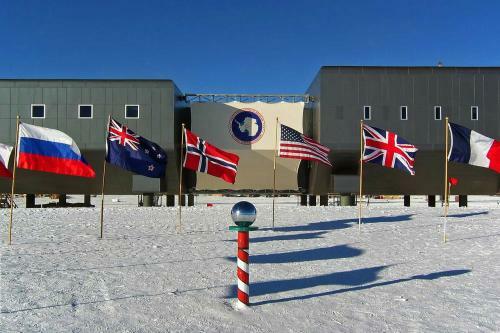 Thus through eight winter month transport connection with Antarctic science bases is closed. Meteorological observations are showing tendency of warming in Antarctic. Through more than half of century long observations are showing that temperatures of the continent are gradually growing. Reasons of those changes are not defined. 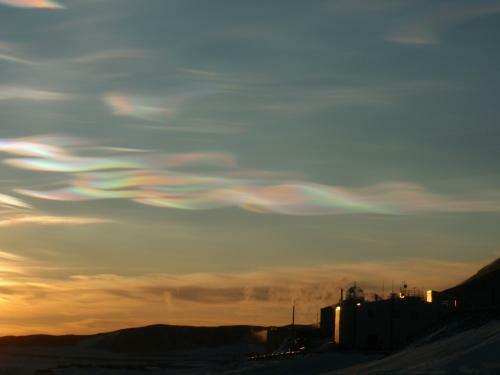 All in all there are still lots of mysteries in weather of Antarctica. Scientists from around the world are studying the Sixth Continent revealing more and more data on it. However current knowledge are bear scratch on the very top of an iceberg.